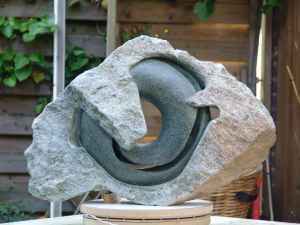 Quite surprisingly Karel only started sculpting in September 2003 at the age of 52 years after a short introduction on working in Stone. Although he grew up in the smell of oil painting he was never before touched by art. 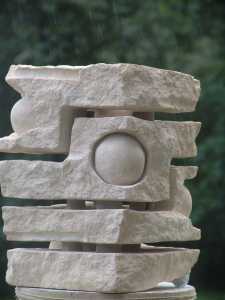 Stone, in whatever form is for him the most beautiful material to work in. 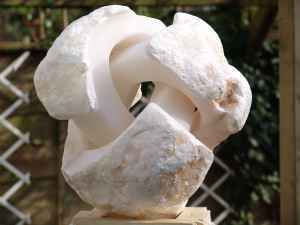 The limited possibilities of the fragile material lead him to his own artistic boundaries When things go wrong in stone, it is the end of the road. 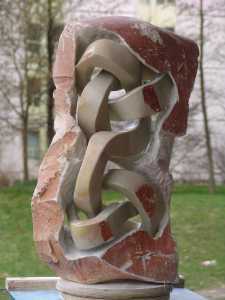 In sculpting he is a self-taught person. 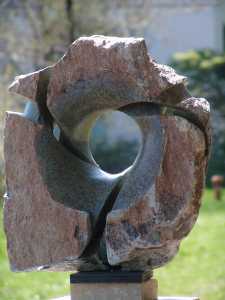 Unlike most sculptors, he is only sculpting the inside of his stones, never the outside. 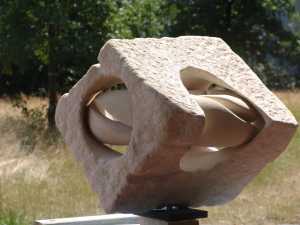 In the beginning (from September 2003) he made simple forms as balls, lenses, rings and cubes inside stones. 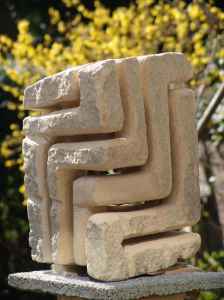 It is his personal view that the original form and integrity of the stone must remain recognizable and intact even after the work is concluded. 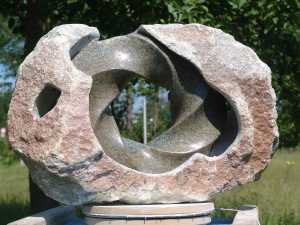 His work is strongly influenced by Escher, and lately also by one of the world�s leading sculptors Keizo Ushio. 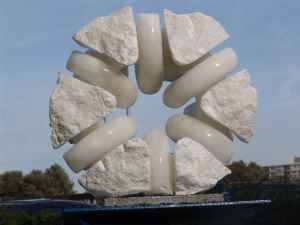 As the outside of the stones must remain as intact as possible, it is the end result that dictates the way of going into the stone. 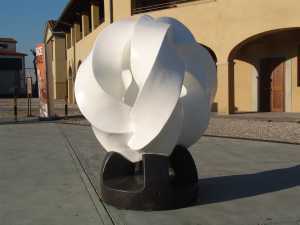 During the Biennale (1-9 December 2007) in Florence Italy his \\\\\\\"540 Split Torus\\\\\\\" was the topic of a talk by art critic Paul Lorenz from the Art Academy of San Francisco. 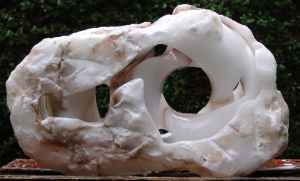 As an artist he feels that he is uncovering the secret of the inner stone. 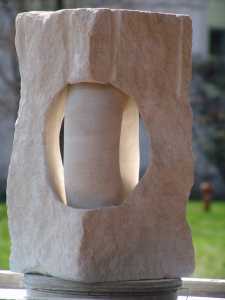 Part creator but also as medium, he is giving the stone a voice and freeing its concealed character. 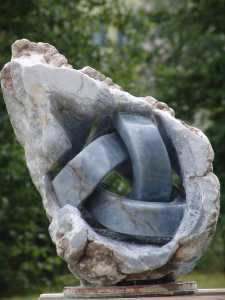 Stone stands symbol for eternity and as mineral, it is a tangible link to physics and the forces driving the universe. 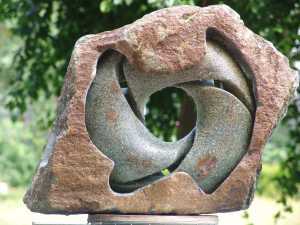 Characteristic of most all his work is that the original form of the stone can be restored by filling the sculpture with wet sand in the same colour as the stone. 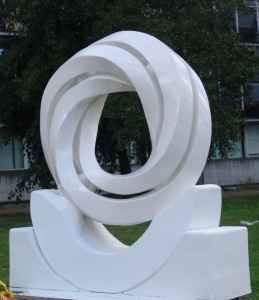 Keizo Ushio, one of the worlds leading sculptors said about Karel \\\\\\\"I have enjoyed seeing Karel\\\\\\\'s works. 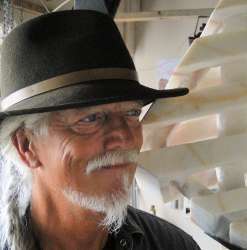 His work is very interesting. And I feel they will serve as a reference\\\\\\\". 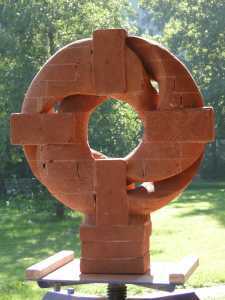 Recently, during the Florence Biennale 2009, Karel received the Bronze Award, the \" Laurentio il Magnifico del Medici\" With 80 participating countries this is an important International 3th price for sculpture.